(VEN) - The Hanoi People’s Committee has set up a council to verify a plan for development of industrial zones (IZs) for small to medium-sized enterprises to 2020, with a vision to 2025. According to data from the Hanoi Department of Industry and Trade, Hanoi has built or is building 89 IZs with a total area of more than 2,000ha, of which 43 totaling almost 1,133ha have been put into stable operation and leased all of their area to investors. Another 46, totaling 940.8ha, are under construction and in the process of seeking investment. The city has directed its districts and towns to strengthen IZ management, and speed up the construction of central wastewater treatment stations. 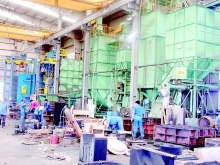 The cost to set up a factory in an IZ remains high so IZs are still finding it difficult to attract small or super-small enterprises that are financially weak. 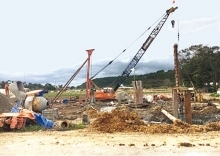 Enterprises in IZs have to pay for having their power systems installed, while central wastewater system construction in IZs is subject to different financial policies, and investment registration related to land use remains problematic, hindering enterprises from choosing to invest in IZs. 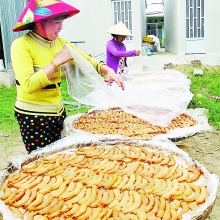 Tran Duc Tan, director of the Tan Thinh Cooperative in Gia Lam District’s Bat Trang Commune, said moving a production facility to an IZ costs about VND10 billion, including land rent and factory construction and equipment procurement costs, while most production facilities in craft villages are small and financially weak. In general, craft villages in the city are developing spontaneously and need assistance for more sustainable development. 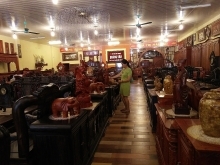 It is important for Hanoi to have appropriate land rent and infrastructure policies specifically designed for craft village IZs to facilitate their movement to those areas. Hanoi will be developing IZs with adequate and stable infrastructure, including central wastewater treatment plants, to facilitate sustainable industrial development. establish 11 IZs, thoroughly solve existing problems, strengthen IZ management, and provide land rent reduction and exemption for new investors. The department has also proposed that the city subsidize environmental treatment in IZs and prioritize IZs in borrowing official development assistance (ODA) capital for investment outside the fence of IZs. Twenty-six of the 43 IZs in Hanoi have had central wastewater treatment systems installed. The city is directing formulation of criteria for attracting investment to IZs and an IZ development plan to 2020.